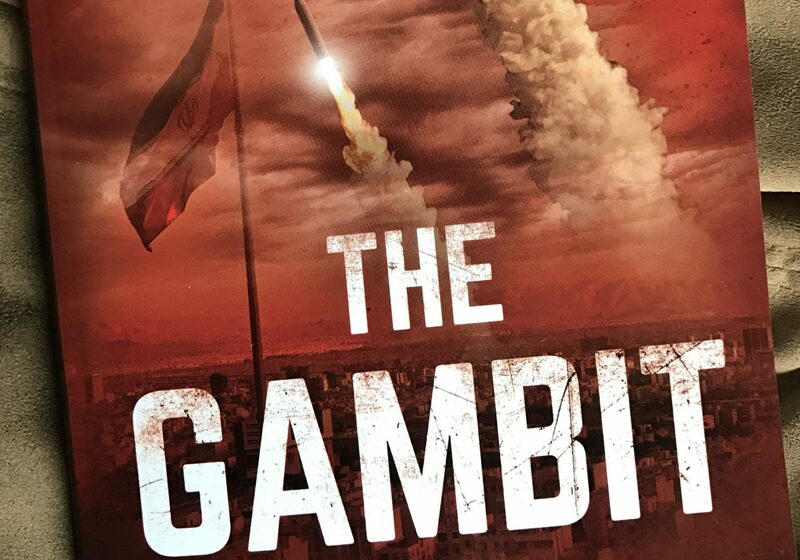 Bradley T. Carlson – Page 4 – The Gambit – An international thriller about Iranian nuclear ambition and retribution! Will Iran fill the ISIS Void in the Middle East? Nature abhors a vacuum–so, it would seem, does international politics. With the collapse of ISIS in Syria and Iraq, a power struggle is emerging in the region between Iran and Saudi Arabia, though you wouldn’t know too much of that listening to much of the media. Last Saturday, the Houti rebels in Yemen launched a ballistic missile at the Riyadh airport in Saudi Arabia–500 miles away. Fortunately for the Saudis, their military was able to intercept this missile. However, no one (as far as I’ve seen) has even posed the question as to where, or how, the Houti rebels obtained a missile like this. The Houtis, of course, are claiming that this is a home grown weapon; personally, that seems a little hard to believe. A more likely scenario is that Iran has been smuggling weapons to the Houti rebels–and has up-ed the ante here with the introduction of a missile of this caliber. (Which would also be a violation of UN Security Council Resolutions.) Clearly, the Saudis believe this as well, as Crown Prince Mohammed bin Salman blamed the Iranians for this claiming that this was a “clear act of aggression” and could be considered an act of war. Earlier today, Fox News indicated that fragments of the missile bore markings indicating an Iranian origin. In Lebanon, Iranian backed Hezbollah continues to stir the pot. However, instead of targeting their favorite nemsis, Israel, they’ve essentially turned north, to Beirut. The Saudi-supported Prime Minister of Lebanon, Saad al-Hariri, resigned this week amidst fears of a Hezbollah assassination plot. In addition, both Kuwait and Saudi Arabia have ordered all of their citizens to leave Lebanon immediately. Obviously, something is stirring in Lebanon. Just a couple weeks ago, the leader of the Iranian Revolutionary Guards, General Qassem Soleimani, traveled to Iraq’s Kurdistan region several times. Iran has been a strong supporter of the Patriotic Union of Kurdistan (PUK), one of the leading factions amongst the Kurds, and even though Iran supports the PUK, they do not want to see an independent Kurdistan–and that’s precisely why Soleimani traveled to Kirkuk, to dissuade the Kurds from their independence goal. Ironically, part of the Iraqi army that would fight against the Kurdish independence movement is a large contingent of Iraqi Shiite Militias–which is also heavily supported by Soleimani and the Revolutionary Guards. For that matter, Iran’s military role in Iraq isn’t even much of a secret anymore. Clearly, with the demise of ISIS, Iranian influence in the region is more and more apparent–and, apparently, more and more provocative. News broke earlier this week that for the first time in a decade the United States had three carriers in the western Pacific. The USS Ronald Reagan is permanently forward deployed to Japan. However, the USS Theodore Roosevelt left San Diego earlier this month and is currently in relative close proximity to the Reagan. The USS Nimitz is on its return leg from the Persian Gulf region and just happens to be transiting the Western Pacific. I believe that the Roosevelt is likely taking the place of the Nimitz in the Gulf but the overlapping schedules is an interesting coincidence as it is not very often the Navy has two, let alone three, carriers in any one region. While the assembling of the three carriers could be explained as a scheduling overlap, a few other items of note add to the quiet buildup: The USS Michigan, a converted ballistic missile submarine which is capable of carrying more than 150 Tomahawk missiles, made a port call in Busan, South Korea in mid-October. In addition, the Air Force is quietly moving a dozen F-35’s to the region at Kadena Air Force Base, Okinawa. These will work in combination with another group of Marine F-35B’s that are already stationed at MCAS Iwakuni in Japan. In addition, the Air Force seems to routinely station at least a couple B-1’s out of Andersen Air Force base on Guam. This quiet buildup has, surprisingly, largely been off the radar of most in the media. In the Persian Gulf Wars, the United States used six carriers in Desert Storm, four carriers in Enduring Freedom (Afghanistan) and then five carriers for Iraqi Freedom. However, due to the continued development of smart bombs and guided munitions since Operation Desert Storm, the corresponding result significantly multiplies the effectiveness one carrier has today over what two, or even three, carriers had 26 years ago! The Marines, and more specifically, the Army, haven’t conducted anything like the Navy’s build up. However, with three carriers and the USS Michigan in the Western Pacific, the US Navy is loaded for bear! These days, it seems that many, if not most, of us have completely forgotten that we still have men and women over seas in harms way. After all, the war in Iraq is largely over, US backed forces in Syria recently captured Raqqa–the self-proclaimed capital of ISIS, and news of the war in Afghanistan is largely eclipsed by the more mundane domestic news here at home. The men and women we have stationed overseas seem to be largely forgotten–until something very bad happens, like the ambush of a Special Forces team in Niger last week. Within hours, though, this tragedy was again replaced in the media by yet another seemingly trivial bashing of Trump or another Hollywood scandal. (Not to diminish some of the allegations coming out of Hollywood as these are truly reprehensible.) Nevertheless, it seems like our military forces remain more out of sight, and out of mind. Sgt Hunter received his Air Force Cross for actions in Kunduz Province, Afghanistan, just last year. The full text of his citation can be found here but suffice it to say that the exploits of his mission placed him in danger not only from the Taliban forces, but also from the very men who were providing the fire support for which he was calling as 31 of the airstrikes were “danger close”–meaning friendly forces are in close proximity to the target. Indeed, some of the airstrikes Sgt Hunter called in were reportedly as close as 13 meters–40 feet–from him and his Special Forces team. Staff Sergeant Christopher Baradat received his award earlier this year for action in 2013. Sgt Baradat served as the Combat Controller for a Special Forces Team operating as a quick reaction force in their effort to relieve a pinned down coalition force. Baradat and the Special Forces team actually had to fight their way in to secure the coalition force and then fight their way back out. His citation can be found here. 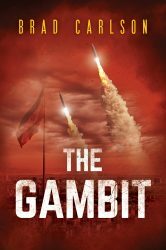 The exploits of Sergeants Baradat and Hunter–and many, many others–truly are the stuff of legend. Their sacrifice tends to go unnoticed as, at least in the case of Sgt Hunter, two of his teammates came home on their shield, rather than carrying it. The sacrifices these men–and women–make, as well as their fellow airmen, Marines, sailors and soldiers is often completely forgotten about. While these men define the tip of the spear, the sacrifice that accompanies it must not be forgotten. On behalf of my family, to all of those men and women now serving and those who have served, THANK YOU for your service. President Trump indicated today that he will not certify that the Iranians are in compliance with the nuclear agreement negotiated under President Obama and Secretary of State John Kerry. The response from our Congressional leaders, and our Allies, not too surprisingly, is one of concern. Indeed, the British, French and Germans all signed a joint statement expressing their “concern.” They went on to express their concern, as did Trump, about Iran’s ballistic missile program–something which, coincidentally, is not a part of the nuclear agreement, but quite obviously should have been. After all, what purpose does an intermediate range ballistic missile serve, if you don’t have the warhead to put atop the missile? Personally, I think the biggest cause for concern, and a few commentators have alluded to this, is that this adds one more huge item to the agenda of an already bewildered, dumbfounded and virtually paralyzed congress. Congress has spent much, if not most, of the year on Health Care reform with nothing to show for it. Tax reform is now in the forefront with Health Care reform on the back burner though it will need to be addressed before it collapses altogether. Then, there is the question of North Korea–not so much a Congressional issue but certainly one in which 535 secretaries of state will want to have their say. So, with a Republican Congress that seemingly doesn’t want to lead–or doesn’t know how to–one more item like this on their agenda could seem overwhelming, even disturbing. I think President Trump’s move is the right one, but we’ll need a few more people other than General John Kelly, General H.R. McMaster, and Secretary of Defense James Mattis to step up to the plate. Reports are that President Trump will “decertify” the nuclear deal with Iran. This is long over due for a deal that never should have been reached. The deal worked out with Secretary of State John Kerry and President Obama is the ultimate in kicking the can down the road, something at which American politicians–and presidents–have become very adept–read North Korea. According to the agreement, Iran agreed to eliminate 98% of its existing stock of enriched Uranium; the renovation of its Arak plutonium facility to a “Heavy Water Research Reactor”; Natanz remaining as the sole enrichment facility–though Uranium can only be enriched to 3.67%; Fordow, the underground enrichment facility, being converted to a “nuclear, physics and technology centre;” and, their reduction in the number of their centrifuges to just under 5,100 of an older model; and, they would not pursue a nuclear weapon for a ten year period. They also agreed to inspections–with a 24 day notice requirement! In exchange, the United States and its European allies agreed to immediately lift all economic sanctions. Estimates vary as to just how much immediate relief Iran received from this but estimates have ranged to as much as $150 billion–in immediate relief. Add to this that Iran was losing somewhere between $4 billion and $8 billion every month in petroleum exports due to the sanctions. If Iran failed to comply in any way, President Obama repeatedly cited that the agreement had a “snap back” provision whereby all of the sanctions could be introduced once again. Anyone who believes that sanctions such as these–and remember, the US and its allies also lost billions due to these sanctions–once lifted would be immediately “snapped back” is delusional. Secondly, and this is equally important, Iran has continued to pursue its ballistic missile program. The obvious question here is why? A complex and expensive ballistic missile program is not needed for the delivery of conventional munitions–there are much simpler, and far cheaper, means of delivering munitions, even at targets as distant as Israel, than continued work on ballistic missiles. Indeed, Israel remains Iran’s prime target–and Iran has a fair amount of support for that amongst Israel’s neighboring countries. So, the obvious question, then, is what is the purpose of Iran’s ballistic missile program, if not for the delivery of a nuclear warhead in the not too distant future? If Major General Scales is correct in that North Korea is serving as the testing grounds for Iran’s nuclear ambitions, and if Iranian scientists are actively helping the NORKs miniaturize a nuclear warhead, the implications of this demand immediate action–either that or accepting the notion that both North Korea and Iran will be nuclear states with the ability to deliver a nuclear warhead, literally several thousand miles away. We saw another log thrown onto the bonfire we know as the Middle East this past week with the plebiscite held by the Kurds in northern Iraq. The Kurds are the largest ethnic minority in the world that does not have their own country. 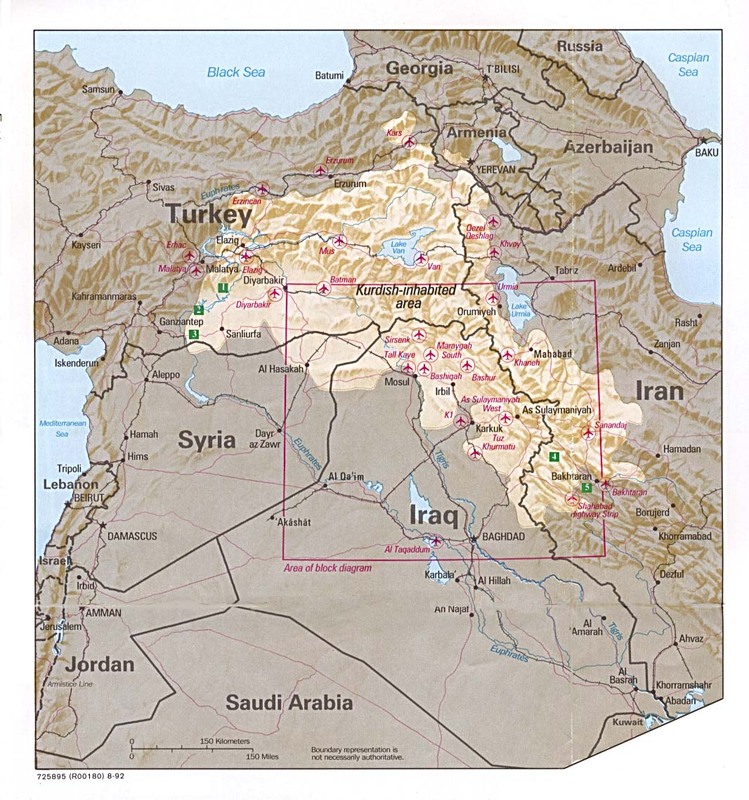 The map below shows the region where they live–and also highlights the international political maelstrom created by the power vacuum caused by Saddam Hussein’s overthrow. Turkey, Iran & Iraq all publicly disavowed this plebiscite by the Kurds with both Iran & Turkey closing their borders to the Kurdish region in Iraq–with Iran sending fighter jets buzzing local Kurish populations in a clearly hostile manner. The Iraqis, for their part, don’t have the military moxi to prevent the Kurdish secession as the Kurds are the ones doing most all of the effective fighting against ISIS and these battle-tested Kurdish soldiers would probably fare quite well defending their homeland against an Iraqi “invasion” of sorts. Adding fuel to the fire is the Kuridistan Worker’s Party, known as the PKK. The Turks, the EU, and the United States all list this group as an international terrorist organization. For many years and up to the present day, the PKK has engaged in countless terrorist atrocities in Turkey, supposedly with the avowed aim of establishing an independent Kurdistan. However, in the fight to defeat ISIS, the largely Kurdish People’s Protection Units, known as the YPG, has served as American proxies. The YPG has clearly demonstrated to be the most effective fighting force against ISIS and has received critical support from the US military–from air strikes to first class training from the US Special Forces. Obviously, members of the PKK have intermingled with the YPG. While its no surprise that each of the Kurds’ neighbors oppose an independent Kurdistan, it is rather surprising that most of the Western countries, i.e., Europe and the United States, oppose an independent Kurdistan. For the United States, a look at the map below clearly points at one of the major the issues involved. Iran is the largest Shi’a Muslim country in the world. Iraq has a large minority of Shi’a muslims though they make up a disproportionate, and substantial part, of the Iraqi Security Forces. Iraq’s fledgling government still needs a great deal of American support. Iraq’s security forces, however, with its substantial Shi’a component, receives a great deal of support from Iran. In essence, the US needs to build support for the Baghdad government while doing what it can to counter Iranian influence–especially in the Iraqi Security Forces. To the north, Turkey is a key NATO ally that is practically engaged in a counter insurgency of its own in southeastern Turkey. In addition, Turkey just happens to be host to Incirlik Air Force base, which may, or may not, host dozens of nuclear warheads. Dealing with a separatist Kurdish movement right now does not appear to the the most auspicious time. While the above may be true, it does not disspel the notion that the United States has been fighting for the right of self-determination throughout the Middle East, like Afghanistan and Iraq–ironically, two countries that would appear to be anything but ready for democracy, inspite of the numerous attempts to secure this for each country. The Kurds, on the other hand, seem to be taking the initiative for self determination in spite of everyone persuading them against it. When it comes to the United States, our recent record with the Kurds is pretty abysmal: After the first Gulf War, the United States did everything to encourage these same Kurds to rise up against Saddam Hussein and over throw him–all but asking the Kurds to finish him off as the first President Bush stopped short of letting the US Army under General Norman Shwartkoff take care of him. When Hussein realized the United States was not going to prevent him for dealing with the Kurds in his own way, he resorted to measures typical to despots throughout history when threats, or perceived threats, to their power and authority arose: he bombed them, he tortured them, and he gassed them and creating a massive humanitarian nightmare in Northern Iraq. The United States finally established a no-fly zone in the area and rushed in food, water & clothing to these refugees, but it was more than too little, too late. In the fight against ISIS, the Kurds have led the way with plenty of support from the US military. In this fight, the Kurds clearly emerged as the obvious, and only, choice: The Iraqis weren’t up to the fight, the Turks had their own interests in the region–which clearly did not parallel American interests, and the local indigenous fighters were no match for the ISIS fighters. So, here we have a very well trained–American trained–and battle-tested force of Kurdish militiamen supporting a democratically elected Kurdish separatist movement in Iraq, which has actually had nominal support from Turkish President Erdogan just a few years ago. Now, however, it is not the time to support the Kurdish movement? Personally, I think the timing couldn’t be better: with the pending defeat of ISIS, there will be another power vacuum in the region. Iraq is not going to fill this vacuum and Iran would love to. If we don’t find someone not only that we want but who is also capable, as the Kurds appear to be, we are asking for a continuing conflagration in the region. Iran isn’t getting a lot of press these days and, my guess is that they are probably okay being out of the international spotlight. North Korea, on the other hand, never seems to let another day go by without doing something to make sure that they are in the headlines. Indeed, the supposed nuclear ambitions of the Iranians seems to have dropped off of the radar of most Western Media outlets in favor of the extreme push to develop these same weapons by the NORKs. Over the past year, to year and a half, the North Korean’s weapons program has accelerated to an amazing extent while Iran’s has, supposedly, come to a screeching halt. Iran though, and obviously North Korea, continues to develop its ballistic missile program–as if it will one day have a nuke to place atop one of these–or several of these–ballistic missiles. I believe its common knowledge that the first versions of Iran’s ballistic missiles were pretty much copies of a North Korean design. But their cooperation goes much deeper than this. Maj Gen Robert Scales, former commandant of the Army War College, told Fox News in January, 2016, “We know that the Iranians were at the last nuclear test a couple of year ago, [and] we know that the Iranians are helping the North Koreans miniaturize their nuclear weapons.” He went on to say that “Iran is able to circumvent it (our nuclear deal with Iran) by using their technological colleagues in Pakistan and their test-site facility in North Korea to push their own nuclear ambitions.” Furthermore, “the Iranians and North Koreans are both developing long-range ballistic missiles by collaborating together.” (All quotes taken from Anthony Cordesman’s article, “Are North Korea and Iran Cooperating to Build Long-Range Weapons of Mass Destruction? An Assessment.” and can be found here.) This weekend, for the first time, Iran put on display its 1,250 mile range Khoramshahr ballistic missile and then test fired it the next day. It’s obviously way too soon to fully understand the nature of cooperation, if any, between Iran and North Korea for this latest variant, but it certainly remains possible. Michael Elleman of 38North has an excellent summary of this following the first test of this Iranian missile in January of this year and can be found here. Personally, what I find interesting is the coincidence to which Claudie Rosett refers in her article “The Audacity of Silence on Possible Iran-North Korea Nuclear Ties,” and can be found here. Indeed, no sooner than did the United States, under the Obama Administration, lift economic sanctions and deliver $1.7 billion in cash to the Iranians than the North Korean’s missile and nuclear program reached a seemingly warp-speed development pace–almost as if someone was bank-rolling them. The bottom line, is that since the Iranian nuclear deal, a lot of testing has been conducted on ballistic missiles by both countries. For Iran, who has promised not to develop a nuclear weapon, why the urgent need for a ballistic missile? I mean, you could put a conventional warhead on one of these missiles, but why would you when there are significantly cheaper and easier methods available? Unless, as Rosett implies, North Korea is serving as the nuclear testing ground for Iran. Again, her intriguing article can be found here. North Korea continues to dominate the headlines and ideas abound as to what its implications are for literally everyone in the Pacific region. Michael Yon, a former Green Beret and now freelance journalist, photographer and author, has some very interesting ideas. Essentially, North Korea is a willing pawn in the geo-political strategy of both Russia & China versus the US. The tests by the NORKs constitute a red line that the Russians, Chinese and the North Koreans seriously doubt that the US will cross. By not crossing this red line, the US is essentially throwing its allies, read South Korea and Japan, under the bus. It’s a very good article, entitled “War on the Horizon – Is the US ready to meet its Commitments?” and can be accessed here. The Trump administration has been very wary of tipping its hand on many issues, unlike previous occupants of the White House. A President who does not advertise what his plans are for his opponents is a nice change of pace. Nevertheless, the repeated “shows of force” we’ve seen after every threat or test from the NORKs and the oral posturing seen from the UN, do not appear to represent a coherent US strategy; rather, it seems as though the US is simply trying to show the world, not just Kim Jong Un, something, rather than nothing at all. To begin with, the West only has one goal: A North Korea devoid of nuclear arms and ICBMs. To this end, China could help but it needs to be made unmistakably clear to them that it is in their interest to reach this goal. Mind you, this is the West’s goal, not necessarily China’s. And remember, this is unmistakably within China’s sphere of influence, as distasteful as that term might be to many people. As such, it is incumbent upon those in the West, read the United States, to make it abundantly clear to China that this goal is in their interest as well—anything short of this, and most assuredly, it will not happen. Secondly, the United States remains committed to a political—not a military—solution. To achieve this, China holds a vast interest; indeed, a solution without China’s import offers a bloody mess that makes the situations in Iraq, Libya, and Syria pale in comparison. Moreover, a military solution—without China’s involvement—opens the door to a decidedly bloody conflict—indeed the butcher’s bill could potentially run into the millions of lives—something that is in no one’s interest, though a rather cynical argument could be made it would be in China’s, as few, if any, of the lives lost would be Chinese. If a military action resulted, the Korean peninsula would be a ravaged and isolated land; the United States would be spent militarily, and quite possibly, economically. Finally, the one event that holds the most likely scenario in deescalating the entire peninsula, is regime change. The only problem with this is that the current occupant at the head of the regime, Kim Jong-Un, has no intention of leaving—and the trail of bodies, including family members, left in his wake serves as apt notice that he will not leave of his own volition. Enter the Chinese, who not only need to accept that regime change is not only in their interest, they need to convince Kim Jong-Un, that it is in his interest as well—if a peaceful solution is to be achieved. Right now, we are a long ways away from this.